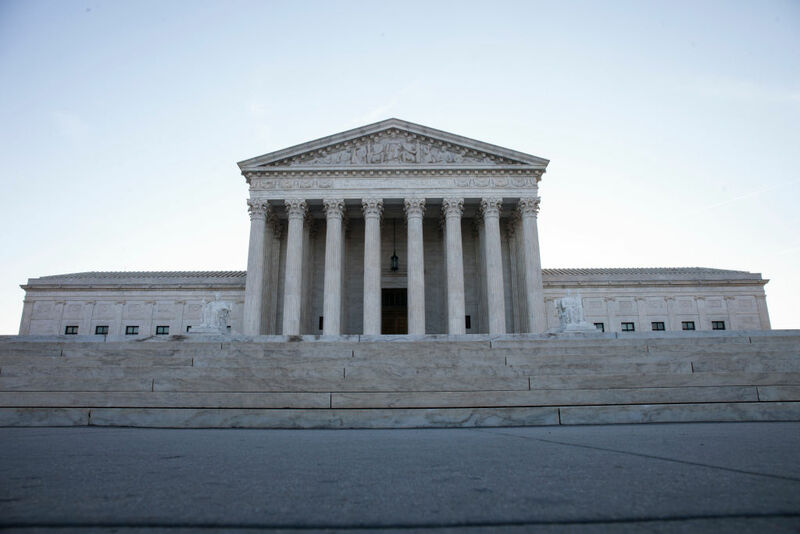 The United States Supreme Court is in the news again, to a degree without recent precedent. Maybe during less heated moments you've found yourself idly wondering exactly how much the appointees to that prestigious body pull in over the course of those lifetime appointments. Luckily for you, you can find exactly how much Supreme Court justices have made in annual salary going all the way back to 1968 at the official website of the United States Courts. There, you'll find that this year, the annual salary for a justice of the Supreme Court comes to $255,300, while Chief Justice (now John Roberts) earns a little more at $267,000. And, with the exceptions of larger raises that seem to happen from time to time, that salary gets a reliable bump of between $2,000 and $3,000 every year. Of course, that doesn't include the rather generous benefits that Supreme Court justices are entitled to as federal employees. That includes the Federal Employee Health Benefits, which its website says is "the widest selection of health plans in the country." Then there's the retirement plan, which after 10 or 15 years of service (depending on their age at retirement) entitles them to an annual pension equal to whatever their highest annual salary was during their career. If that doesn't have you contemplating a quick changeover to law school, there's also the lengthy break between July and October, when the Supreme Court isn't in session. It's during these months that Supreme Court justices historically do most of their traveling and supplement their income with teaching and speaking gigs. In 2015, for example, Clarence Thomas earned a reported sum of more than $27,000 for giving lectures during summer break at schools including Brigham Young University, Creighton University and George Washington University – and of course, they're expected to prepare for the Court's slate of cases in the fall during this period as well. They may find time to write books while serving on the Court as well. Stephen Breyer earned some $45,000 in royalties for his 2016 book The Court and the World, while Sonia Sotomayor earned millions for her own much more lucrative book My Beloved World in 2013.